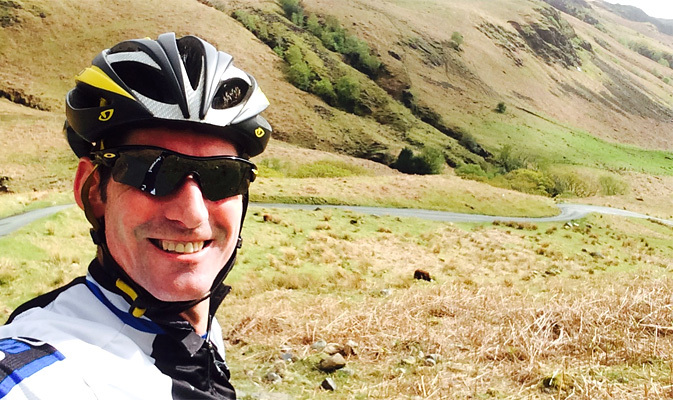 While working in Cumbria recently I decided to have a go at the infamous Hardknott & Wrynose pass on the bike. I have done them both a good few years ago from the East, however never from the West! It was also a good opportunity to do a recce in preparation for the fast approaching Coast to Coast (C2C) in a day on the 27th June and try out the new 12-28 cassette I had just added to my training wheels. On the drive over I decided to head to my meeting via the passes and in a car it certainly brings home just how steep and twisty both the Hardknott and Wrynose passes are! Later that day after my meetings I took off on the bike to firstly have a go from the West and then simply turn around and head back from the East!! The bottom of Hardknott pass from the West effectively starts when you reach the red telephone box on the left hand side of the road. The first obstacle you reach is the cattle grid which you need to gather some speed to get across, then its on to the climb proper! The first part is steep (up to 25%) and has numerous switchbacks that are best taken as wide as possible to keep some momentum. I found it possible to sit in parts with a 39-28 (1:4) inadvertently popping the odd wheelie! The climb levels out half way up which gives you the chance to catch your breath and let your legs recover for the even steeper (up to 30%) top tier of switchbacks! 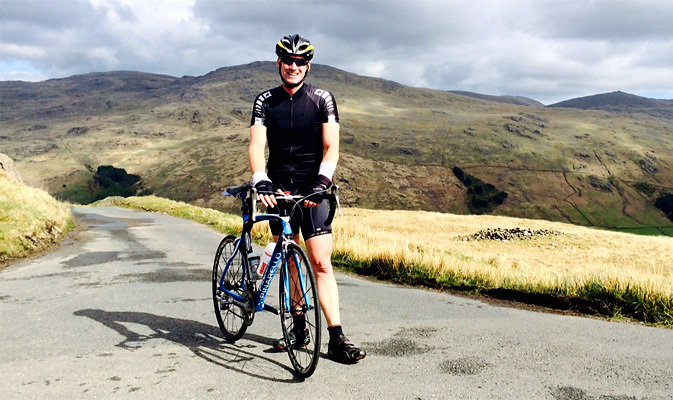 Taking a breather at the top of Hardknott Pass, before the hairy descent! Wrynose from the West is probably the easiest climb out of the four but the gentle gradient soon kicks and your left pedalling squares once again to grind over the top! 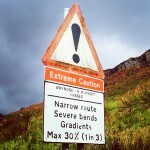 The Hardknott descent down to Eskdale, was I glad to see this! The climb begins just before the little white farmhouse round a couple of sharp bends, the gradient slowly increases and once you are on the long steep straight the climb never appears to ease until the top. I personally found this the toughest of the day, especially as there was a strong headwind trying to push you back down again! This approach is not particularly long, however boy is it steep with an early 30% kicker that soon has you out of the saddle and pulling on the bars! I found myself gasping for more oxygen all the way up and was really pleased to crest the final lump and take my well earned and final descent of the day which again needs a little care! Take care on all of the descents, you will certainly need to use both brakes! !